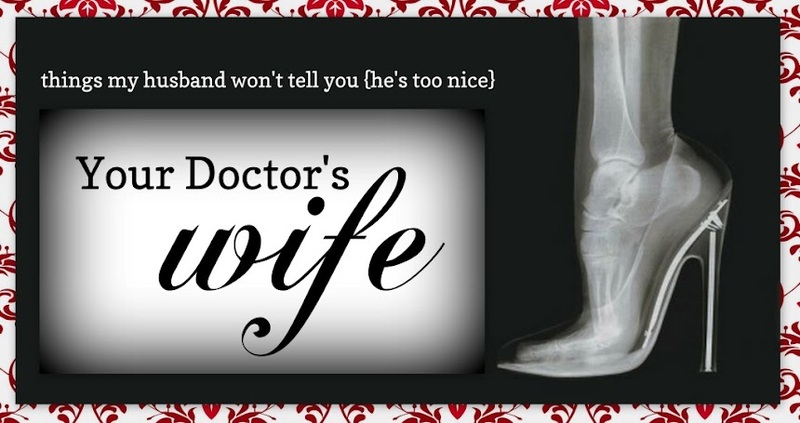 Your Doctor's Wife: Thank You! Hi everyone! I hope you enjoyed the wonderful guest posts over the past week. Please be sure to check out their blogs and poke around. They are all wonderful and would love to see you visit their blogs! Please let them know I sent you! Thanks to them all for stepping in, so I could enjoy some down time and mai tai’s! Thank you to Ashley at Flats to Flipflops for inviting me to guest post last week! It was an honor and I just loved talking about my addiction! Lastly, I would be remiss if I didn't mention lovely Michelle, who is responsible for my gorgeous new blog design! I can't thank her enough. She was a gem to work with! If you are interested in a new blog design or a little "lift", contact Michelle at This Little Light - embrace. the. joy. You won't be sorry! Thank YOU for letting us guest post!